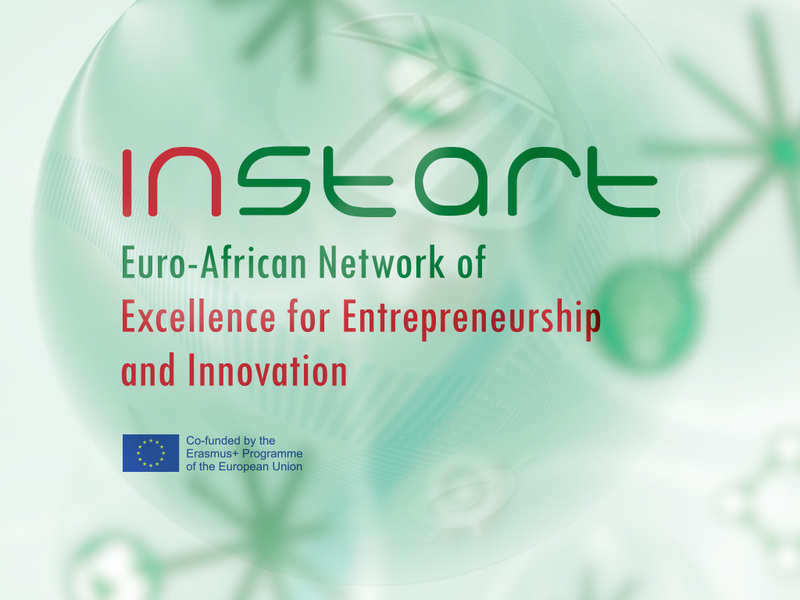 The Euro-African Network of Excellence for Innovation and Entrepreneurship – INSTART – aims at improving the knowledge triangle by promoting an effective Innovation culture in Higher Education, and starting up Innovative modes of association and interaction between Universities, Businesses and Society in order to enhance the socio-economic environment across the South Mediterranean Region (MED). The Consortium is composed of 4 Universities, and one Scientific and Technological Park from EU countries – Spain, Portugal, Italy and Poland- and 12 Universities from Algeria, Egypt, Libya, Morocco and Tunisia with support from social partners as Chambers of Commerce, Clusters, Networks and Associations from these MED countries. Making university’s activities more visible and accessible to companies and other stakeholders is important to contribute to economic growth by combining their collective knowledge and skills. The INSTART project develops innovative mechanisms to promote University Excellence in Innovation and Entrepreneurship and to increase University-business cooperation through the Mediterranean. To catch up on knowledge production, INSTART will implement the training Transversal Accelerator Program with innovative learning tools for different targets groups (professors, technical, graduates, postgraduates), focuses on new skills in Innovation and Entrepreneurship having a transversal impact on interesting disciplines for the Region (as Agriculture, Economics, Education and Engineering). In order to improve the capacities, create and reinforce structures of Innovation at the MED Universities, the project will develop a training Program including a visit period in Europe, and thus starting a best practice transfer Systems for long-term cooperation between MED-EU Universities. INSTART project is designed to encourage Mediterranean Higher Education Institutions to become a referent for innovation and entrepreneurship in the labour market and society as a whole.